We are dedicatedly engaged in offering a commendable range of PP/ISO. 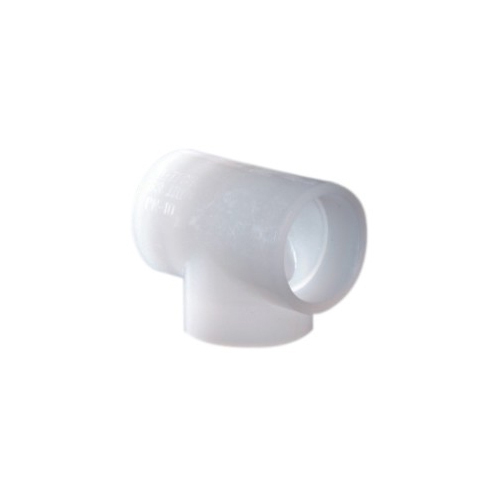 PP/PVDF Equal Tees Ends: Socket Weld. Besides being manufactured from high-grade raw materials and latest technology, the offered range is inspected properly by our expert professionals. Owing to features like durability and sturdiness, the offered product is exceptionally valued by our precious clients. Apart from this, the offered range is available with us in various sizes and shapes at affordable prices. We, UNP Polyvalves India Pvt Ltd, were established in the year 2000 as a prominent manufacturer, exporter and supplier of PTFE Lined Valves, PTFE Lined Actuated Valves, Pipes & Pipe Fittings. As manufactured with utmost precision & qualitative approach, we have assorted Thermoplastic Manual Valve, Fluoropolymer Lined Valves, Thermoplastic Actuated Valve and many more under our offered array. These valves find specific usage in several industrial applications and thus, have gained huge appreciation among our clientele. We Export our products in USA, Italy, Brazil, Thailand, Singapore, Malaysia, Africa, etc. Throughout our journey, we have followed a qualitative approach and this has led us to reach so far. In the process, we are backed by a sound infrastructural facility and team of diligent experts. Our workplace is equipped with all the necessary requirements for completion of our business tasks in an efficient manner. The whole procedure is conducted, under the strict surveillance of our competent & dynamic professionals. We from our end pay utmost attention towards maintaining the set industry requisites and thus, assure our offerings to be qualitative. As following client-centric strategies, we have established business relations with some of the prominent names of the industry, such as, Chempro Expertise Pvt. Ltd., M/S. Chemtex Engineering of India Ltd., M/S. Dalal Consultants & Engineers Ltd. and M/S. Engineers India Ltd.